Becca Francis is a Sheffield born-and-bred musician, who returned to the City with her young family in 2014. 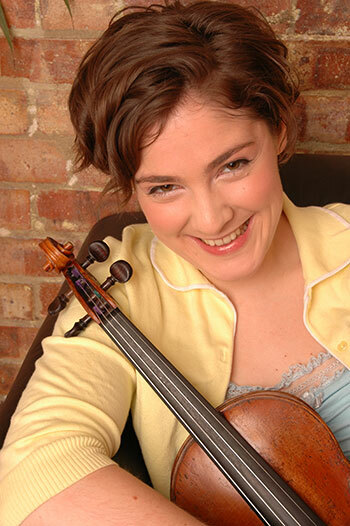 After studying the violin with Nina Martin throughout her teens and spending nine years in the City of Sheffield Youth Orchestra (finishing as leader), Becca completed an undergraduate music degree at Oxford University. She then undertook a Masters in Violin Performance at the Royal Academy of Music, London, where she won the Mortimer Development Award for Innovation in the Arts and mentored undergraduate students on the Music in the Community course. On finishing her formal musical training Becca worked as a freelance musician in London, the highlights of which included performing with Nigel Kennedy, Elton John, and Katherine Jenkins, and delivering community projects for the London Symphony Orchestra. After teaching at the First String Experience at the Junior Royal Academy for many years, Becca decided her passion lay in teaching and embarked on a Post Graduate Certificate of Education and has been working in education ever since. During the week Becca runs successful music classes for children 0-6 years old, and acts as a Music Education Consultant for Sheffield schools. At the weekend she is Head of the Infant Scheme at the Sheffield Music Academy and co-ordinates the Junior Department, running the Junior Orchestra and Choir. Becca is an advocate of learning through fun and infuses her high-energy teaching with Kodaly and Dalcoze techniques.